Can I use hair removal cream on my face? This is one of the most frequent question women ask when inquiring about body grooming and hair removal. While professional laser salons are expensive, and waxing is too painful and shaving leaves stubs, using hair removal creams seems the most appealing approach. But most of the hair removal creams are not meant to be used on facial skin and can cause irritation and side effects. Check below as we explain more options which you might like to try and dos and don’ts of using these creams to remove the peach fuzz hairs which annoy you so much. It is no secret that facial hairs is a great nuisance for women. The hairs tend to grow thin and delicate but when they show up they can be dark ad obvious or even as a fuzz which is unattractive when appearing on the upper lip (mustache) or at the chin (beard). Shaving can be an awful solution. Unlike men who can walk with a shade of a beard on their cheeks or chin, women can not. Shaving hairs can cause the stubs left to be even more noticed and less smooth than the hair before they were shaved. On top of this shaving is a very temporary solution, and the hairs will keep growing a day later. These CAN be a very good solution, because after several treatments at the privacy of your home, the hair will begin to to fall off. These hair reduction systems are very safe (when used properly) and have FDA approval to be used over the face. There is a slight discomfort with the zapping, but nothing which prevents tens of thousands of women all around the world from using these systems. These systems are not approved for male facial hair treatments. The home laser devices were once (2-3 years ago) very expensive, each cost nearly $600-$800. Today smaller and more compact devices are available from well known brands, some are more affordable than you might expect. 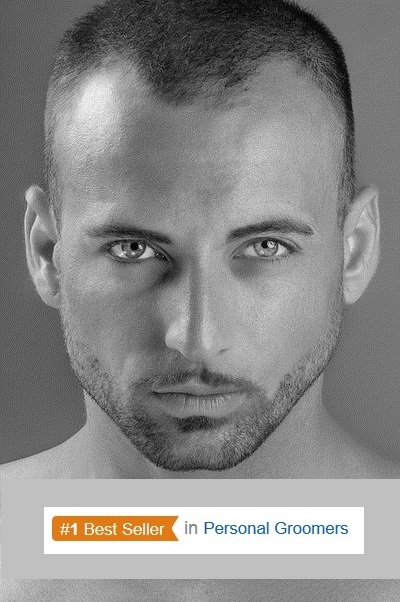 When you take in consideration the hair reduction is permanent, the investment is worth it. It takes several follow up treatments a few weeks apart, and the hair reduction becomes really noticeable. 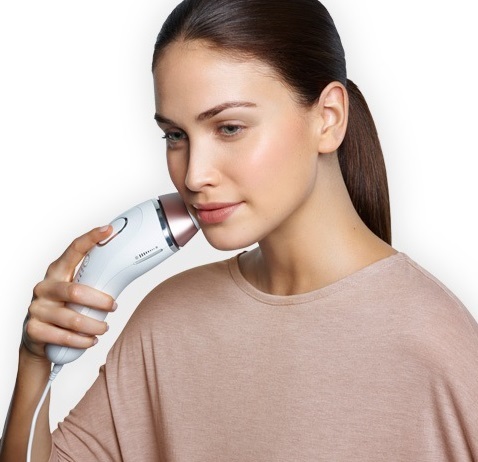 The Braun Gillette Venus Silk-Expert IPL 5001 Intense Pulsed Light Face & Body Hair Removal System, is a compact device which can be used for face but also for body! As you can see, it can be used to get rid of hairs from the cheekbones and downward. Though your main interest is how to remove hairs from face, once you have a home system like this you would probably get rid of hairs from other body areas, like underarms, arms, legs and bikini line. 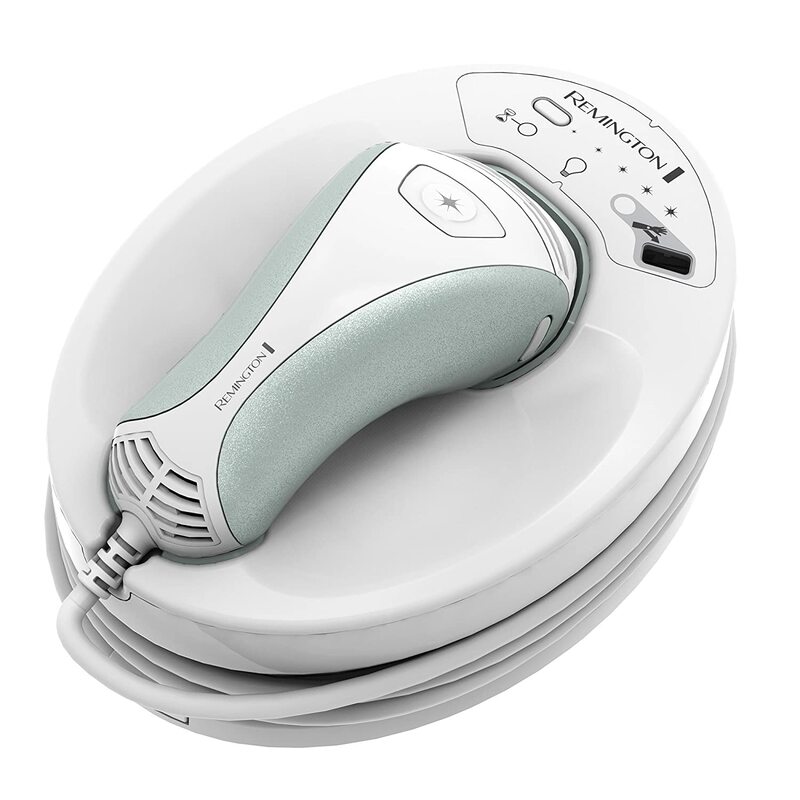 Click here to check the reviews and rating other people gave the Braun Gillette Venus Silk-Expert IPL Face & Body Hair Removal System. The TRIA Precision Laser is a smallest model for the world famous TRIA home lasers. It is lightweight and has a small laser tip, which can treat safely upper lips, chin, sideburns and cheeks. 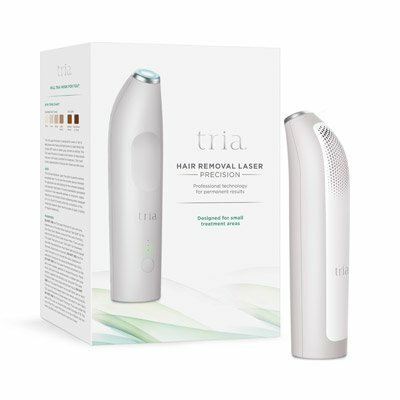 Several zapping every other week with the TRIA laser, and you can say goodbye to most of the annoying hairs on your face. The TRIA price has been reduced lately so you can find it more affordable than ever before. Shop for TRIA Precision Laser at Amazon its lightweight and comfortable for facial use. Hair removal creams break down the keratin chemically and the hair is dissolved and can be removed with a damp cloth wipe. Breaking the chemical bond inside the hair, the depilatory creams are very effective to leave behind a smooth silky skin. How stuff works explains the reaction these creams do. Once rubbed or sprayed onto the skin, the formulation breaks down the chemical bonds that hold the protein structure of your hair together. These proteins are known as keratins. Once a depilatory dissolves the keratin, the hair becomes weak enough to fall loose from its follicle. There are plenty of depilatory creams meant to be used for the legs. Some of them use very strong chemicals to effectively dissolve the hair’s keratin bond. They all need to be applied on the skin, left for several minutes to take their effect and then wiped off. Most of them have a clear warning not to be used on the face. The face hair is more delicate (vellus hair) and the chemicals used in the legs removal creams can be too harsh and cause irritation, redness, and sting sensation. There are some depilatory creams for sensitive skin used to shape bikini line and even they are not approved for private parts and the face. You should only use creams which are meant to be used on the face. One of the best solutions to remove unwanted feminine hair is the Olay Smooth Finish Facial Hair Removal. It is both effective and low cost. The Olay Smooth Finish Facial Hair Removal comes with a two step treatment tubes. 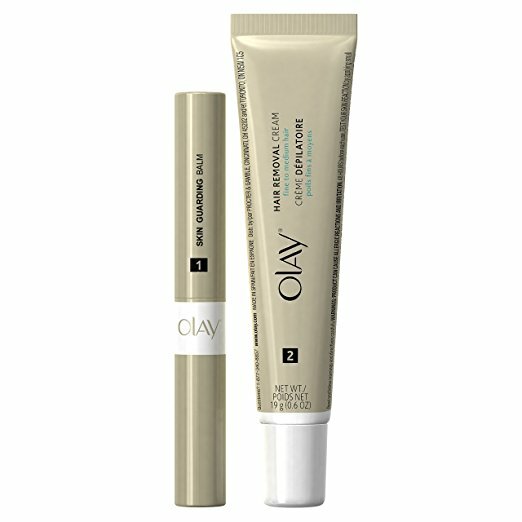 One is used to condition the skin as a balm to reduce the risk for irritations, and the other tube is the cream itself. Together they remove the unwanted hair and dissolve it gently. Click here to order a set of Olay Smooth Finish Facial Hair Removal Cream. The Olay Facial Hair Removal Cream is designed to remove both fine and medium hairs. For rigid thick hair growth, you might need more adequate measures like the laser hair removal kits. Check here what other women are saying about the Olay Facial Hair Removal Cream. With hundreds of reviews, it is one of the best selling hair removal solutions women seek. Do a discrete test!! Even the creams intended to be used on the face can cause some people a rash or irritation. For this reason when you buy a cream for facial hair removal, always do a test 24 hours prior. This will allow any rash side effect on the skin to show on the test patch, and not ‘explode’ all over your face. Pick a spot of delicate skin for the test patch, there is no use testing the cream on areas where the skin is thick and durable like the outer arms. Try the cream at the inside of your forearm, leave it there for 10 minutes and wipe it off. Wait 24 hours to see if any rash or allergic reaction appears. Use the hair removal cream on clean skin, with no make up, oils or lotions. The depilatory creams have enough chemicals inside them, you do not want extra reaction with makeups, body lotions and UV screening SPF creams. Use only in areas allowed and always AWAY FROM THE EYES!!!!! You can use facial creams on upper lips (not to touch the lips!!) sideburns, cheeks and chin and anywhere on the jaw line. You should absolutely NOT GET CLOSE TO THE EYES. DO NOT TRY TO USE THE CREAM FOR STYLING EYEBROWS. The risk of permanent eye damage and even blindness should always be on your mind. Even a drop of cream can chemically burn your eyes. Do not rub the cream in, just leave it on top of skin. Do not try and rub the cream into the skin like you might do with some skin wash or lotions. Apply a rich cover of cream on the area you are treating and leave it there for few minutes. Do not leave on skin for over ten minutes. The usual time needed for these creams to work is 3-5 minutes. When you wipe the rich layer of cream you will see it has hairs inside it. If 5-6 minutes have not managed to dissolve the hairs, wipe it off, it should not be in contact with the skin for longer than that. There are several creams dedicated for facial hair depilatory, just give one of them a try. Useful for upper lip, chin and jaw line and sideburns. 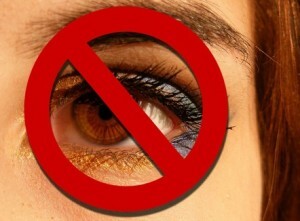 Not to be used anywhere near the eyes! Click here to try the Olay Smooth Finish Facial Hair Removal. Do not be tempted to use legs creams on face, the horrible smell and possible side effects from the chemicals are not worth the laziness. Follow the tips provided here for safely removing hair with those creams. This entry was posted in Specific Body Hair Removal and tagged chin hair removal, Depilatory Creams for face, facial hair removal creams, hair removal creams, Pubic Hair Removal Depilatory Creams, upper lip hair removal by . Bookmark the permalink.